Four years after Hurricane Sandy, New York City is one major step closer to flood-proofing its shores. The Mayor’s Office of Recovery and Resiliency (ORR) and the New York City Economic Development Corporation (NYCEDC) have officially selected three firms to collaborate on the second phase of resiliency measures planned for lower Manhattan. 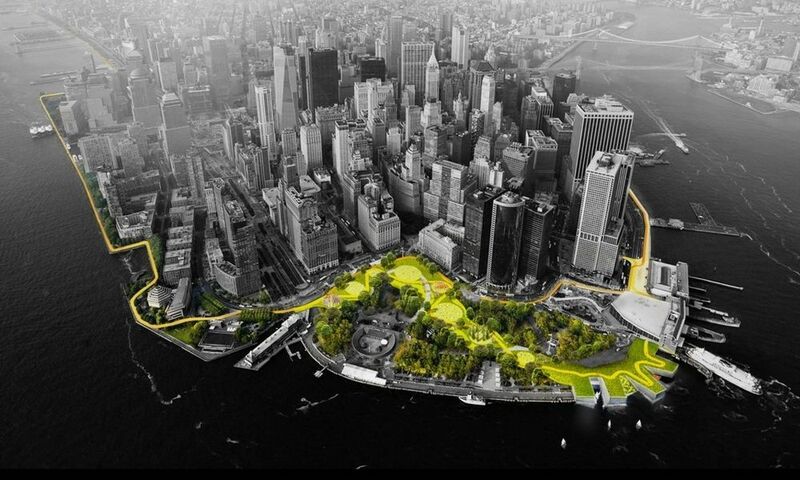 AECOM, Bjarke Ingels Group (BIG), and ONE Architecture will work on the Lower Manhattan Coastal Resiliency (LMCR) Project, a flood-proofing and park-building measure that extends from the Lower East Side up to the north of Battery Park City. “The project is landscape architecture as public realm, design as policy, and urban planning on an architectural level,” said Kai-Uwe Bergmann, partner at BIG. 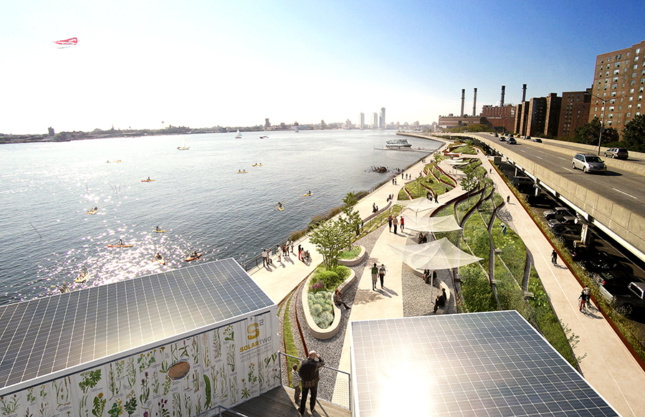 In concert with heavy-duty resilience measures, the LMCR project, he said, aims to improve access to the waterfront and augment green space in the neighborhoods it will traverse. The 3.5-mile-long project will extend from the northern portion of Battery Park City to the Lower East Side’s Montgomery Street to pick up where its sister initiative, the East Side Coastal Resiliency (ESCR) Project, leaves off. Like the ESCR, the LMCR visioning process will begin with extensive community engagement to figure out what, exactly, neighbors want to see on the rivers’ edge. The firms plan to take lessons from the ESCR, now in its final stages of design, to this one. Besides the resiliency measures that provided the impetus for the construction, Bergmann said the East Side ESCR constituents expressed a strong desire for more green space, open space, and recreation areas. The only component that’s fully funded is the ESCR, so in order to realize both components—and possibly the whole BIG U vision—government at every level would need to open their budgets. Although Trump’s infrastructure plan seems like it will focus on prisons, pipelines, and border walls, maybe the president-elect will put aside his climate change denial for a moment to help out his hometown?